It was a pair of massive victories for the Reds yesterday – as well as a glorious victory at Anfield, our U23s claimed a massive 6-0 win over Leicester earlier on Sunday. 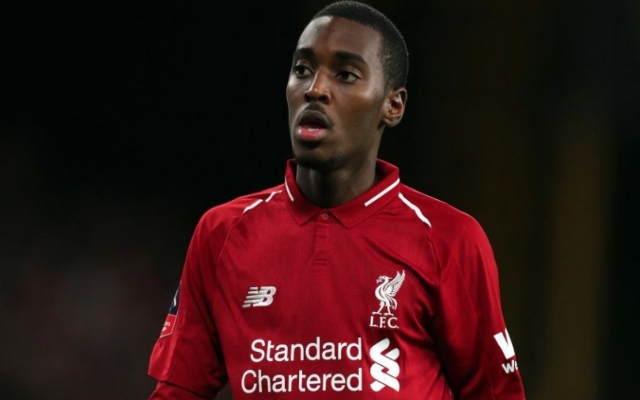 There were starts for Alex Oxlade-Chamberlain, Joe Gomez, and a goal for promising youth striker Rhian Brewster, but it was 18-year-old Rafael Camacho who stole the show. The young Portuguese scored an impressive hat-trick yesterday and took to Instagram to declare himself an out-and-out attacking threat. Somewhat impudently, he clearly felt the need to declare that right-back is not his favoured position by seemingly criticising Jürgen Klopp for playing him there. The Lisbon-born starlet was handed his senior début by Klopp playing at right-back in the FA Cup third round against Wolves in January. His league début came 12 days later, appearing as a late subsitute in our 4-3 win over Crystal Palace. Camacho found himself filling in at right-back for the senior side after several injuries and Nathaniel Clyne’s departure to Bournemouth left as light down the right. But he’s made it clear that he’s not all that enthused about it. Admittedly, he plays better as a winger than a defender, but often, a young player needs to show maturity and trust that Klopp and his coaching stuff know what’s best for him in a given moment. Rafa Camacho is young and his comments on social media “demeaning” his coach for playing him RB is probably not the most mature thing from him but he has a point. He has always shown he is a better attacker than defender. Hope we can keep him. With attacking full-backs Andy Robertson and Trent Alexander-Arnold, the boss obviously wants those positions to be injected with plenty of offensive threat. So, Camacho’s transformation from winger to right-back could make a lot of sense. The young Portuguese clearly isn’t having any of it though. After almost leaving for Sporting Lisbon back in January, Camacho may look to ply his attacking trade away from Anfield come the summer. If he’s not willing to be a team player then he won’t be well-suited to Jürgen’s red revolution. Good luck to the lad.